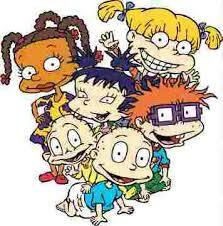 Have you ever wondered why no one else can hear the babies speak in the Rugrats expect for Angelica? Well maybe they aren’t really real. A theory is that Angelica made up the babies to have someone to talk to because of how little time her parents spend with her. It’s believed that Tommy (one of the babies) died soon after being born. This is reflected by Stu never leaving the basement and making children’s toys that no one would play with. Chuckie is believed to have died in a car crash along with his mother causing the dad to be a nervous wreck. Last but not least, the twins. One of the twins was a still born and Angelica never knew the gender of the other baby so she imagined them as opposite gender twins. Ed, Edd, and Eddy are all dead kids. 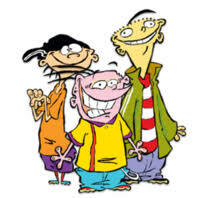 We all remember Ed, Edd, and Eddy right? You remember the lack of any adults right? People believe that all the kids in the show are all dead and living in purgatory in a forever childhood cycle. The ways they died were from explosions due to a gas leak truing the neighborhood into an apocalyptic state. 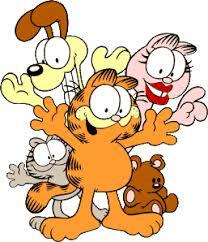 There’s a theory that Garfield the cat is actually starving and due to the lack of food he imagined Jon and Odie. There’s a reference to this in one episode is the Halloween episode were Garfield wakes up in an empty abandoned house calling for Jon and Odie but they aren’t there.